What are the Top 10 Comfort Foods? Foods are meant to give nourishment and fulfill your heart. There are many foods out there but if you want something that makes you feel better emotionally, you should consider comfort food. No matter what season, you should consider hearty dishes that will keep you cozy. The mac and cheese dish is of English origin but it quickly became one of the favorite comfort foods in the world. It is a dish consisting of cheese sauce on top of the cooked macaroni pasta. The cheese used is commonly cheddar. Lasagna is another family favorite. It is made with stacked layers of pasta. 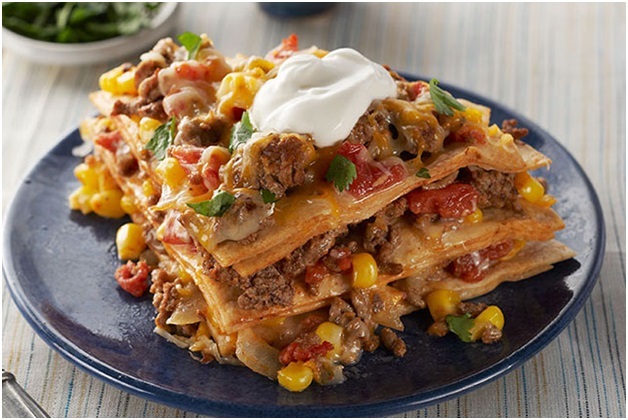 Its highlight is alternately stacked layers of sauces and ingredients like vegetables, meat, and cheese. In some culture, it is topped with melted grated cheese. If you want to grab a quick snack, grilled cheese sandwiches are great. It needs to be grilled so the bread toasts and the cheese will melt. It is often heated by putting slices of buttered bread with the cheese between the slices on a frying pan or griddle. Whether you prefer it a side dish or the main dish, the mashed potato will never let you down. In fact, it is healthier than other food and it will surely bring back memories of your childhood. You need to boil the potatoes first then crush it into a soft mass. It tastes better with the addition of milk and butter. This is another dish that will bring back memories of your childhood. This dish is interesting because of the juicy meatballs soaked in red sauce over spaghetti. Do not forget to top it with cheese. Any kind of pancake is good. It is made of a thin cake batter that is usually fried and turned in a pan. Pancakes are usually paired with syrup or you can roll it with a filling. If you do not want to cook, you can easily buy fried chicken. Although you will hear unsolicited cautions from your mother, it is still one of the best comfort foods in town. Another famous comfort food is pizza. Whether in Italy or America, this snack is easy to order or make if you have time. The highlight is the tomato sauce and cheese topping with added vegetables or meat. Who will forget about pies? Pies will really remind you of home and the family. It is a baked goodie made of pastry dough that contains a filling of different sweet or savory ingredients. Whether it is from the nearest gas station or not, doughnuts emanate nostalgic feeling. This sweet fried dough treat comes with many toppings, which makes it more interesting and appealing. There are more comfort foods that you can consider from a Chinese meal to egg rolls, cookies, muffins, ice creams, and Oreos. Whether you personally prepare it or not, the sentimental value attached to it will never change. These foods are also best shared with the people close to you. I like all these top 10 foods. now i will eat everyday.